The youngest of six kids from a single-parent household in Riverside, California, Gene Chism was the first in his family to earn a college degree. "I wanted to go to school away from home," says Chism, who moved to Eugene. "It was all about having fun." It was three years after college, in 2000, that Chism got serious about education. "I got a job as an educational assistant at Springfield Middle School," he says. "In my second year, I worked with special-needs children. I felt a calling to teach them." 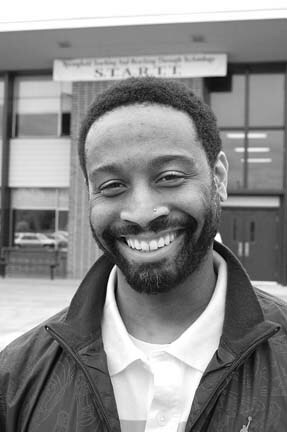 In his third year, Chism was hired as multicultural liaison to three Springfield middle schools. He developed an after-school program called FACES (Freely Accepting the Culture of Every Student), "It's my vision of using unconventional teaching to reach students," he says. "Everyone has a love of music and dance." For five years, Chism has put on a RED (Respecting Everyone's Differences) Day at the three schools, featuring food, crafts, music and speakers representing many cultures around the world. Also back in school at the UO since '05, Chism will finish a master's in special ed next spring.